Whether you're upgrading from Confluence Server or spinning up a new instance, getting started with Confluence Data Center is no easy task. In this webinar, you'll learn how to get started with a successful Confluence Data Center implementation. Confluence Data Center is a self-managed enterprise edition that gives you the reliability and compliance your organization demands, with the infrastructure to manage team growth without compromise. Whether you're upgrading from Confluence Server or spinning up a new instance, getting started with Confluence Data Center is no easy task. Ian Buchanan is a Principal Solutions Engineer for DevOps at Atlassian where he focuses on the emerging DevOps community and the application of Jira, Bitbucket, and Bamboo for better continuous integration and continuous delivery. 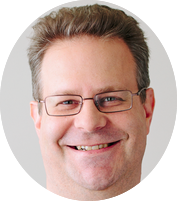 While Ian Buchanan has broad and deep experience with both Java and .NET, he is best known as a champion of lean and agile practices in large enterprises. During his career, he has successfully managed enterprise software development tools in all phases of their lifecycle, from cradle to grave. He has driven organization-wide process improvement with results of greater productivity, higher quality, and improved customer satisfaction. He has built multi-national agile teams that value self-direction and self-organization. When not speaking or coding, you are likely to find Ian indulging his passions in parsers, meta-programming, and domain-specific languages.